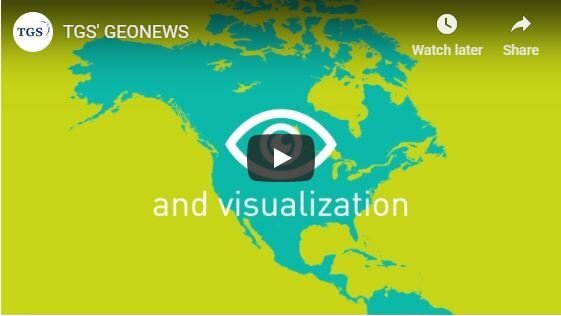 GEONEWS is a revolutionary GIS Competitor News data solution specifically tailored for professionals, analysts and investors in the Oil and Gas Exploration, Midstream and Downstream industries. With GEONEWS users are able to easily stay up to date with the latest breaking news and developments related to companies, drilling activity, plays, land transactions, lease sales, pipelines, facilities, regional news and regulations. Data Updating – data is updated throughout the day so users can stay on top of breaking news and trends. Data Groups – total of 5 are included; Categories, Companies, USGS Provinces, Plays and Formations. Data Tagging - includes Company, Categories, USGS Provinces, Plays, Formations, Fields, Countries, States/Provinces, Counties, Cities, Offshore Blocks, Longitude/Latitude, Land A&D, Lease, Well Header, Well Details, Well Production, Prospects, Midstream A&D, Midstream Facility, Rail, Pipeline, and Barge/Tanker. Data Attributes - the database has been designed for in-depth data analysis purposes and includes more than 250 data attributes. Permits and New Wells - access to all new permits issued in the prior week as well as all recently released and significant producing wells on the GEONEWS web portal. New permits, sourced from RigData, are updated weekly and wells are updated twice a month. 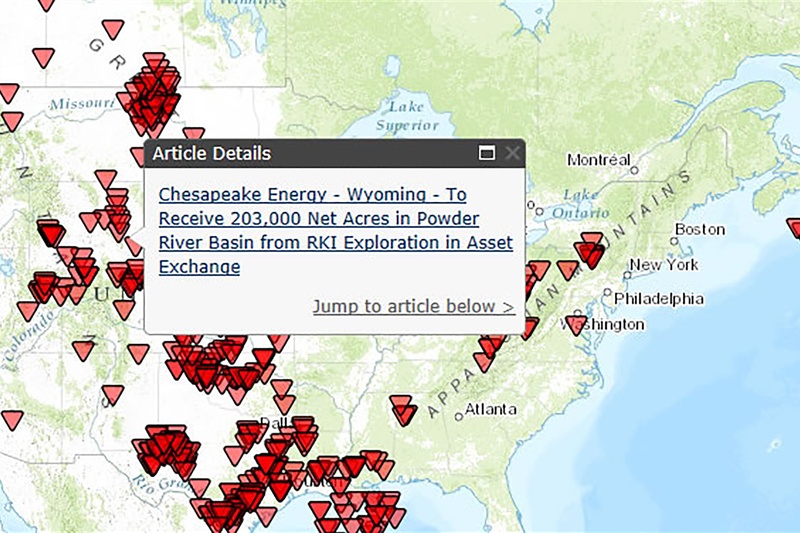 Data Interfacing Access- data is available via our Web Portal, Esri Map Services, Mobile, and Daily Email Alerts, hyperlinks are provided to the source data for further analysis. The Web Portal has been designed to provide users with a very simple way to discover and monitor news and data that could have an impact on their area of focus and company's performance. Using the Web Portal the user can easily customize their Homepage view, create advanced queries, and daily email alerts. In seconds research can be performed on company, upstream, midstream, downstream, government, health, safety and environmental activity. The Web Portal has been designed based on the valued comments and feedback from users. The Esri Map Services provides companies with an easy way to integrate the power of GEONEWS data into their internal portals. The map services can easily be added to custom mashups, and portals, to name a few. Data can be licensed for both the Web-Based Application and the Esri Map Services. The Web Portal Application is available on a per user/seat basis and is licensed on an annual basis. The Esri Map Service is available on a corporate-wide basis for an unlimited number of users and is licensed on an annual basis. Subscribers of the map services will receive 30% off the Web Portal Application total pricing. Need the latest industry news and developments? Request your GEONEWS 30-day free trial now!